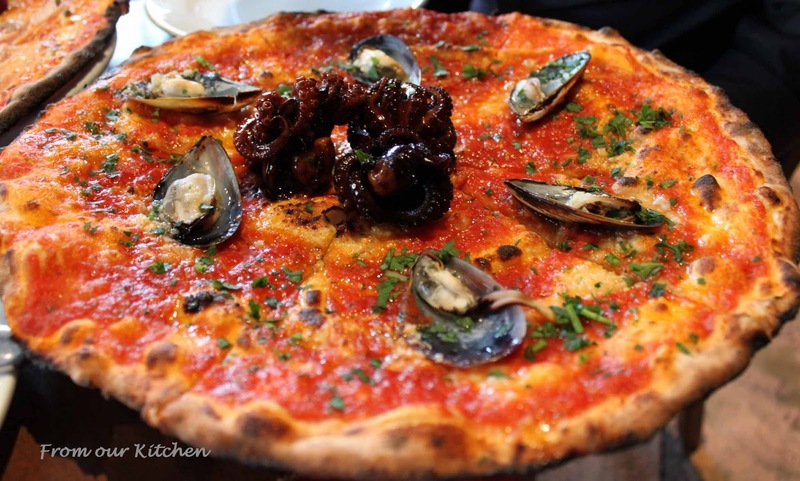 After reading John Saxby's review about La Disfida is an Italian restaurant in the Sydney Morning Herald, we added it to our growing list of restaurants to visit and taste their food. The restaurant will take reservations for groups of 5-10 people with two sittings on Friday and Saturday - 6pm and 8pm. Knowing that it would be busy on a Saturday evening, we arrived shortly after the restaurant opened at 6pm. We were lucky to be seated at table by the window. When I read the article on SMH, a few people had commented about the poor service they received. We must have been lucky that day because we found the service attentive and friendly. There were quite a number of entree specials varying from zucchini flowers filled with goat cheese, prawns and octopus on a chickpea base, seared tuna encrusted with almonds (tonna scottato) and more. We selected the tonna scottato and garlic pizza to share. 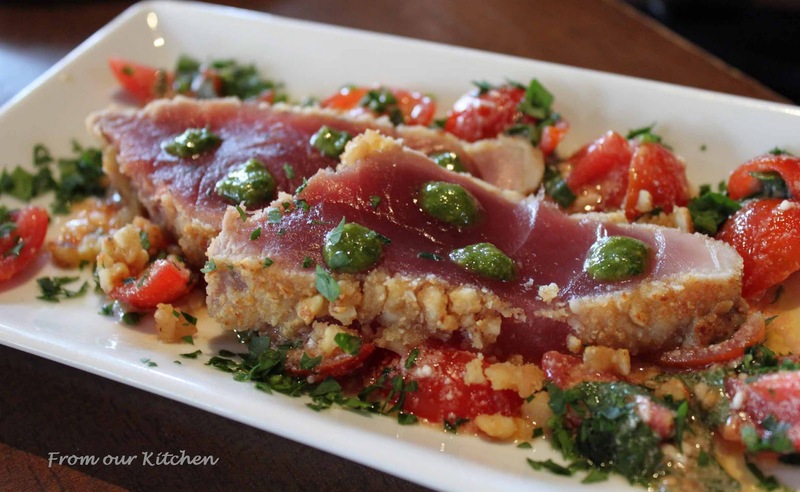 I am not usually a fan of tuna, but I loved the dish. The tuna was perfectly seared and melt in the mouth. The almonds, basil and cherry tomatoes balanced the dish well. 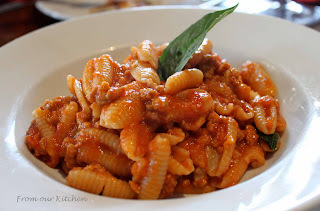 We also ordered one of the pasta specials - gnochetti sardi with sausage ragu and pecorino - for out two girls to share. This place is famous for its pizza. 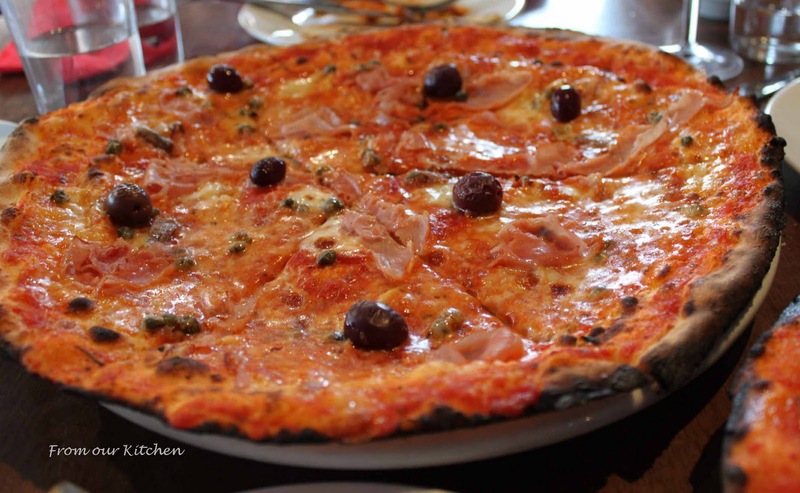 The wood-fired pizza base were thin and crispy with a crusty edge. We had two pizzas - one with ham, anchovies and smoked mozzarella and the other had mussels and octopus. The tomato based sauce was full of garlic and chunky tomatoes. Desserts were beautiful and mouth-watering. 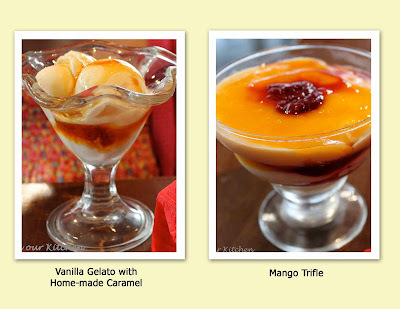 We had the mango trifle with raspberry compote and vanilla gelato with home-made caramel sauce. A perfect ending to an excellent meal. 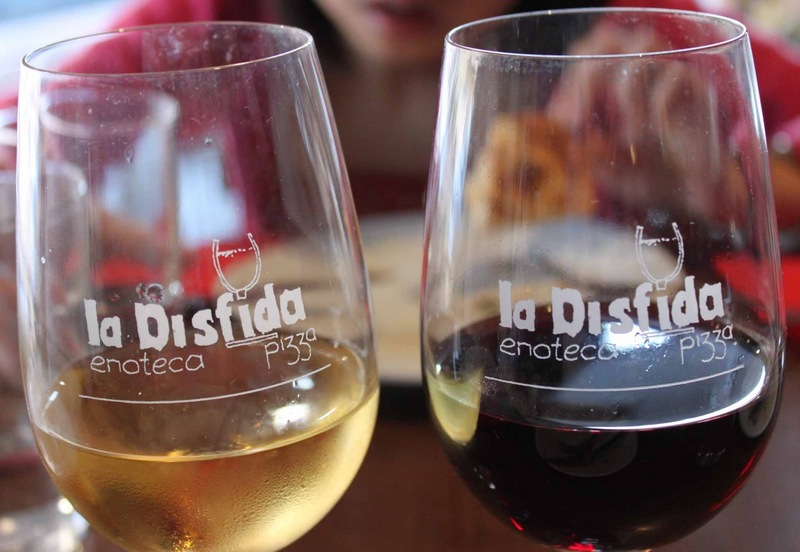 La Disfida takes pain with the presentation oftheir servings and also puts thought into their ingredients. 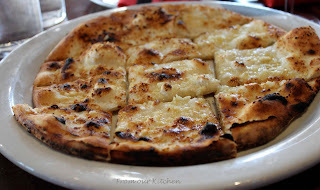 I am captivated by the special pizza - gnochetti sardi with sausage ragu and pecorino. Yum, all the food looks very tempting, especially dessert! Must keep this one up my sleeve. Thanks for sharing. Gosh, my tummy is rumbling looking at the pizzas and desserts!! That meal must have been expensive eh?